It’s no secret that I love to spend a lot of my time in the kitchen, creating and experimenting with recipes. I thought it high time I actually share where I derive some of my some of my inspiration. Below are 4 of my favourite cookbooks. 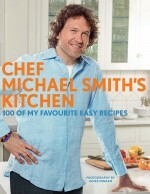 Chef Michael Smith’s Kitchen - I owe my kitchen skills to Michael Smith. His shows on the Food Network helped me gain a confidence in the kitchen. His recipe books are simple, tasty, and diverse. He has multiple cookbooks, but this one is (by far) my ultimate favourite. Oh She Glows Every Day - Angela Liddon’s first book is good, and her second book is great! I’m not really on board with the no gluten lifestyle as a full-time way of eating/living, but I did take my Naturopath’s advice recently to lay off gluten for 12 weeks. I very much appreciate Liddon’s use of beans and legumes. In this book, you’ll be introduced to a variety of “weird” stuff like gluten-free grains, ways to use nuts you didn’t think were possible (cashew cheese), and the very versatile chia seeds. Note: Many of the recipes in this book require a food processor or a great blender. Cooking with Wholefoods - I got this book by Ross Dobson from the library over the summer. My favourite part of this book is that it combines meat and legumes regularly. Meat gives a dish that “umami” flavour that is missing in most vegetarian dishes. Legumes give the dish healthy protein, fibre, and a slew of other nutrients. You only need a tiny bit of meat to create amazing flavour and legumes are CHEAP. This book is great if you are looking for examples of how to cook wholesome, on a tight budget! Butter Baked Goods - Yep, you read that right. BUTTER. BAKED. GOODS. Yum! This recommend is by no means the healthiest recipe book I’ve ever recommended. But to quote Michael Pollan, “You can eat as much junk food as you like, as long as you make it yourself”. I love living this quote out in real life! In simpler terms - if you want cookies, cakes, and other treats, get in the kitchen and make it! You’ll avoid ingesting all of the additives in processed baked goods you find in the supermarket, and I’m a firm believer that homemade goods taste better because they are made with love and intention! 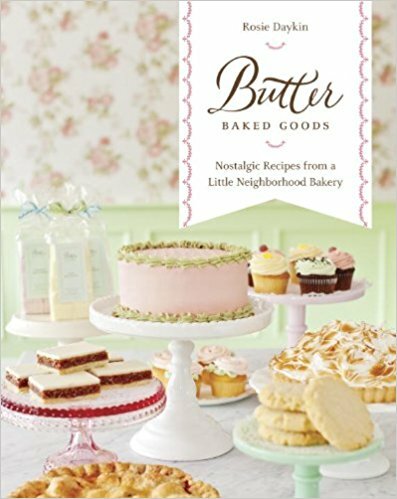 A few of my favs from this book include: Lemon Poppy Seed Muffins, Banana Chocolate Loaf, Butter’s Chocolate Cupcakes, and, of course, the buttercream icings! This book has never disappointed me. So, there you have it! My top 4 favourite cookbooks! If you happen to make any of these recipes, send me an email or connect with me on Facebook or Instagram! I’d love to hear (and see) how it turns out!